Here's a very unique Pancit Canton recipe shared and posted by Chef Pailin Chongchitnant at her YouTube channel and food blog. Another classic Filipino recipe! 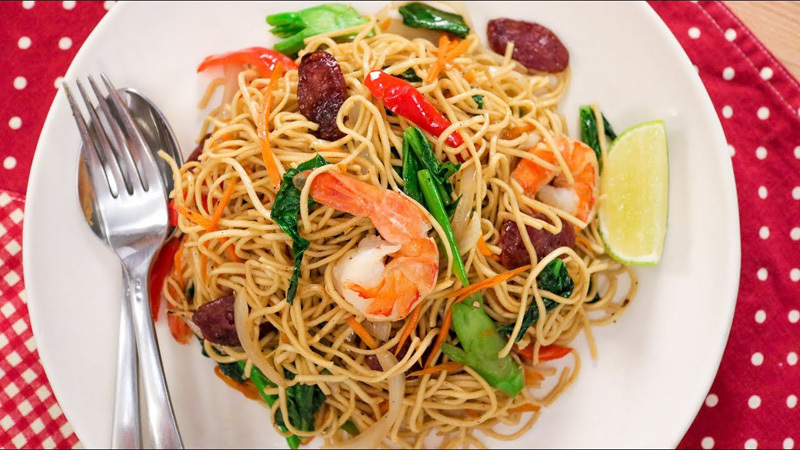 Pancit Canton or "cantonese noodles" is the Filipino interpretation of Chinese noodles. The stir-fried egg noodles are wildly popular and is really easy and quick to make at home. The secret is in getting good noodles and Chinese sausage (lap cheong), and if you can find a calamansi, squeeze some juice on top at the end for a bright citrus finish! Watch this Pancit Canton recipe for the cooking instructions!